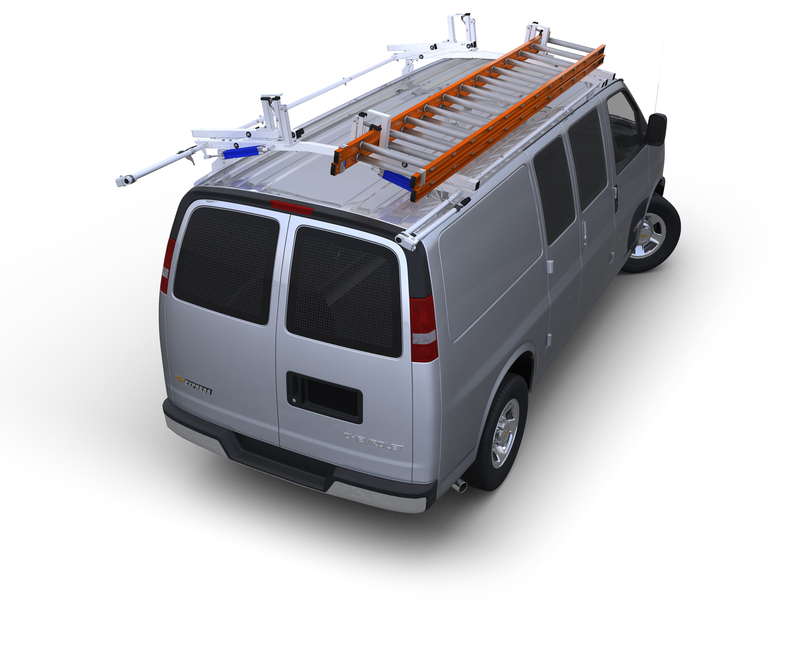 Our 10' long Standard Cargo Carrier Rack is made for the Nissan NV High Roof van. This is the only van cargo rack completely fabricated first and then hot dip galvanized for a rust free abrasive resistant finish on every cut end, weld and inch of the rack. And this cargo rack doesn’t end with the finish. This is the only van cargo rack completely fabricated first and then hot dip galvanized for a rust free abrasive resistant finish on every cut end, weld and inch of the rack. And this cargo carrier rack doesn’t end with the finish. Each rack includes completely welded side trusses made from 11∕4" and 3∕4" 14 ga steel tubing and solid 1∕4" steel rod. Cross supports are 11∕4" 13 ga round tube. Topper’s patented mounting system allows you to use 100% of the available roof space on your van. All cargo racks feature closely spaced cross supports that allow you to carry shorter loads or loads that have a tendency to sag like plywood or sheetrock. To complete your rack add a side mount conduit holder for carrying full lengths of tubing. Our 10' long Standard Cargo carrier Rack is made for the Nissan NV High Roof version, includes seven cross supports with four mounting assemblies and has a 500 lb. load rating. The capacity of these racks can be increased to 750 lbs. 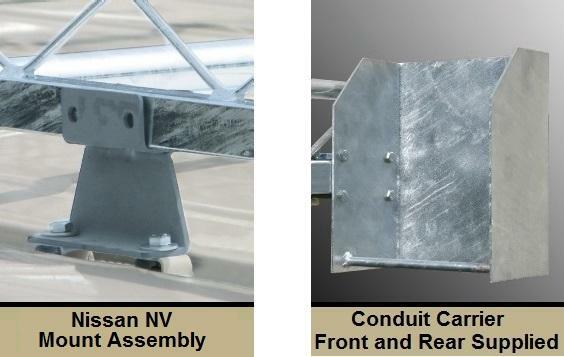 by adding two additional mounting assemblies with our Heavy Duty Kit. This rack bolts directly to the OEM mounting points provided on the roof of the vehicle by Nissan. All hardware is cadmium plated and included. Please specify year, make, model and roof height of vehicle when ordering. Occasionally, due to changes in aerodynamics caused by the installation of ladder racks, some vibration may occur. This can happen with any ladder rack and is not predictable. If you experience this problem, installing the optional Wind Deflector and slightly re-positioning the rack on your vehicle should help eliminate the vibration.